Ecstasy Limousine offers stretch limos, antique cars and exotic cars at an affordable price. We service the Bronx community for Weddings, Sweet Sixteen, Quinceaneras, Proms, Graduations, Special occasions, Bronx Zoo, Children's birthday parties, an event at Yankee Stadium. 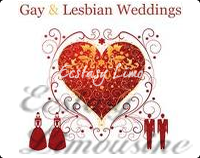 Ecstasy Limousine / Bronx Limo Service can create a special package for your special event and accommodate your guests. Call us today at (718) 897-6108 or email us at CUSTOMERSERVICE@ECSTASYLIMO.COM for more information and packages.